Join us at the Commercial Vehicle show and discover more about our products. Armorgard are looking forward to welcoming you to our stand 5J86 at the Commercial Vehicle Show at the NEC on 25-27 April 2017. 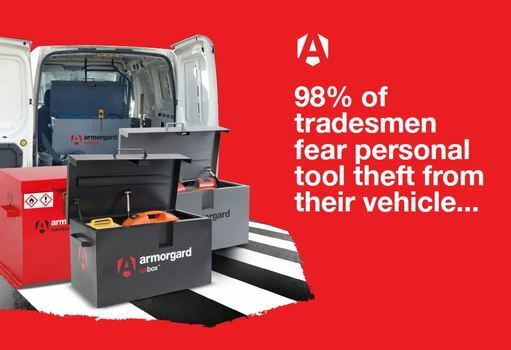 Tool theft and vehicle break-in is ever increasing, with 98% of trades people fearing personal tool theft. Don't risk it, come and browse our range of products available for locking away tools and valuables. Our friendly team will be there with our fantastic range on in-vehicle products to help you find the best product for you. We’re very excited about the prospects of this exhibition and we look forward to meeting you. We are exhibiting our top products at Troy Means Business 2017.